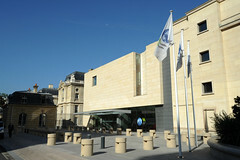 The OECD held a public consultation event on transfer pricing matters at the OECD Conference Centre in Paris, France. The event concentrated on matters covered by two recently published discussion drafts on which written comments have been invited and which deal with work in relation to Actions 8, 9, and 10 of the BEPS Action Plan. Specifically the consultation covered Cost Contribution Arrangements and Hard-to-Value Intangibles, and there was an update on Chapters I and VI (Risks, non-recognition and intangibles). Enquiries about the event should be addressed to TransferPricing@oecd.org.